Welcome to the streets of Portland at night – cold and rainy, hot and steamy. These words take on new meaning when you've braved the elements in a tent under the Steel Bridge as the winds and rain blow around you. Or in a sleeping bag on the sidewalk after the sun has pounded down on you all day long. Then you might add a few more adjectives – hopeless, scary, and alone. Hundreds of our neighbors spend each night like this . . . spring, summer, fall and winter. These neighbors of ours focus on simple things — keeping their feet dry, figuring out where to find their next meal or clean drinking water, and protecting their meager belongings. 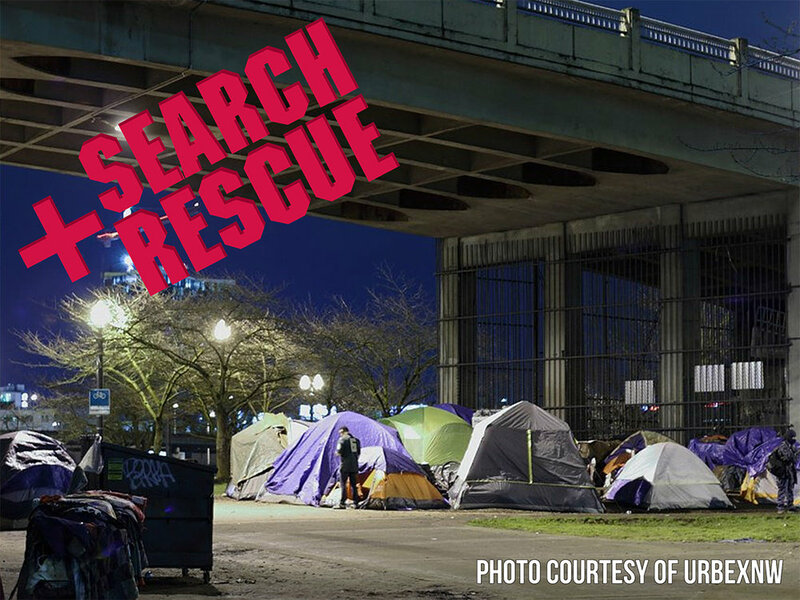 Beginning in October our newest outreach initiative, Search+Rescue, will send a van of volunteers into the darkest places in Portland stocked with necessary items. Items include food, hygiene products and other supplies for the people in tent camps, sleeping on sidewalks or in business doorways. Even more important than the physical needs, Search+Rescue will provide relationships, hope and love to these hurting individuals. If you have a desire to lend a loving hand to our brothers and sisters in need contact CJ Entringer, volunteer director, at cjentringer@ugmportland.org to learn more about how to sign up to volunteer with Search + Rescue.